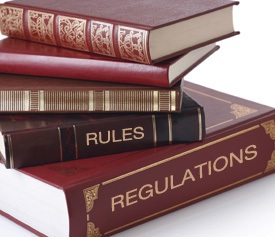 Are you confused about the difference between B2B and B2C long distance selling regulations? The law treats business-to-business contracts differently than it does business-to-consumer contracts. The Distance Selling Regulations no longer actually apply in UK law. They were replaced by the Consumer Contracts Regulations – which came into force in the UK in June 2014 – and apply when making purchases. It is a bit of a minefield. Is the customer always right? Do they always get their money back? We’ve put together this handy guide to try and answer some of those questions. B2B is selling business to business, sometimes known as e-biz. One business sells or provides products, services or information (aka e-commerce) to other businesses or companies, rather than to consumers. This business will transfer raw materials, parts and components to other businesses or companies who will then make additional profit from them. They may manufacture new products or they will sell to consumers. So for example, perhaps you sell organic flour. You sell that flour to bakeries who bake bread and cakes – that’s B2B. B2B on the whole tends to be high volume, and you are likely to need a different business set up and infrastructure to cope with your sales than a B2C does. Your ‘shop window’ will be markedly different to a B2C, and you may rely on trade conferences and magazines, digital marketing etc. B2C, or business-to-consumer, is where businesses sell products or services to consumers. This applies to businesses at the coal face of retail, such as clothes shops, restaurants, electrical goods shops, bookshops, as well as to businesses supplying services to people – chimney sweep, plumbers, subscribing to pay-per-view TV at home etc. The term B2C also refers to the online selling of products, or ‘e-tailing’ or ‘e-commerce’, in which manufacturers or retailers sell their products to consumers over the Internet. Most of the Sale of Goods Act and the Supply of Goods and Services Act, which provides the buyer with rights in cases of faulty goods, mis-described goods or substandard services, also applies to business-to-business contracts. So just what is the difference between B2B and B2C long distance selling regulations? There’s a lot of confusion. If a person returns an item to the store because they’ve changed their mind, then they are usually entitled to get a refund. Can that business ask for a refund from the B2B who sold them the goods in the first place? If you’re selling goods or services online in the UK, then you need to make yourself aware of the Distance Selling (now Consumer Contracts) regulations. These regulations were created to encourage confidence among consumers who use the internet to purchase goods. B2B are exempt from the Consumer Contracts (formerly Distance Selling) regulations. But must still comply with the E-commerce regulations, which apply to any sales made electronically. What does that mean in practice? The Consumer Contracts regulations means that if you sell to businesses then you are entitled to have your own returns/cancellation policy in your contract with a buyer. This is normally known as your own Terms of Service – it must be clearly stated – and you must abide by it. You should ensure your Terms of Service is clear about your returns policy, and you must make sure your business customers are aware of what it says. This means that while B2C customers are almost always entitled to a refund or exchange, you may – as B2B – state that no refunds will be given as you are exempt for Consumer Contracts (formerly distance selling) regulations. Under the Consumer Protection (Distance Selling) Regulations 2000, as amended, a buyer is, in certain circumstances, entitled to receive a refund if they change their mind. These regulations apply to both goods and services, where the contract is made between a supplier (a seller acting in the course of a business) and a consumer (a non-business buyer) and there is no face-to-face contact between them. That’s B2C. These Consumer Protection (Distance Selling) Regulations 2000 apply to the majority of internet sales. 5. Goods or services bought at an auction with an auctioneer. In this instance eBay is NOT an auction site (not according to EU directives at any rate), and in any case “Buy It Now” listings and “Second Chance Offers” will never be regarded as auctions. A cooling off period – where the consumer can change their mind (usually 7 days from receipt of any goods and 7 days from the order of services). Occasionally the cooling off period is for 3 months. Where the Consumer Protection (Distance Selling) Regulations 2000 apply and a consumer notifies the supplier in writing or in another durable medium and before the end of the cooling off period that they wish to cancel the contract, they must receive a full refund within 30 days. Where the Consumer Protection (Distance Selling) Regulations 2000 apply and a consumer notifies the supplier in writing or in another durable medium (i.e not in a phone call or face to face) before the end of the cooling off period that they wish to cancel the contract, the consumer is under a duty to take reasonable care of the goods and to “restore” them to the supplier. Under the Consumer Protection (Distance Selling) Regulations 2000 a supplier is not able to demand that the consumer return the goods. The consumer’s duty to restore the goods simply means that they must make the goods available for collection by the supplier. However, the Consumer Protection (Distance Selling) Regulations 2000 allow a supplier to include in the contract a term requiring the consumer to return the goods to their supplier at the consumer’s cost. The supplier is only allowed to charge for recovery of the goods if the consumer exercises his right to cancel the contract within the cooling off period and if there is a provision in the contract allowing the supplier to make such a charge. If the consumer has the right to cancel the contract under other legislation, for example under the Sale of Goods Act 1979, as amended, because the goods are defective, the supplier is not permitted to charge for the recovery of the goods. What if a supplier refuses to give a refund or take back goods? The Office of Fair Trading and the Trading Standards Departments of local authorities in England and Wales have the responsibility for enforcing the Consumer Protection (Distance Selling) Regulations 2000. If you are a B2B then you must comply with the Electronic Commerce (EC Directive) Regulations 2002. These regulations came into force in August 2002 and implement the European Union’s E-Commerce Directive into UK law in order to protect the rights of consumers. •	Business that sell goods or services to businesses or consumers over the internet, or by email or by text messages. That’s B2B and B2C. •	Direct marketing by telephone or by fax is not covered by the E-Commerce Regulations. What requirements do the Electronic Commerce (EC Directive) Regulations 2002 place on businesses? •	If the communication is unsolicited (spam) it must be identifiable as such from the subject line of the email without the need to read the body of the email text. You must also provide the customer with the ability to print and store a copy of your terms and conditions of sale. Where does this leave you in practice? If you are a business who bought from a business (the recipient of B2B) then you are held to the terms and conditions. If they say ‘no refunds’ then you are doomed. If you bought goods from a business as a consumer, then you have rights. If you are a business who bought a laptop to use in your business, this is B2C and you can return it under the conditions listed above. If you are a business that bought 400 pairs of superman pants, and you change your mind because you prefer Spiderman, you’re unlikely to convince your supplier that they were for personal use. That’s B2B and it looks like you’re wearing your red undies for the foreseeable future. This leaves me somewhat confused! What about rights of a re-seller? E.g. A business purchased a desk from us online, we then purchased from the manufacturer on their behalf and the manufacturer delivered to our customer. They decided the desk wouldn’t fit and want to return it! The manufacturer have said that we can not return it to them, but the regulations above mean that the customer can return it to us! so we would be left out of pocket with a desk we don’t require! Now in this instance, measurements are supplied on the website and the customer should have checked their dimensions before purchasing. So their incapability to do this leaves us carrying the cost?? If you purchase something for your business its classed as a B2B transaction, if you want to get the added benefits of purchasing as a consumer then its best to purchase your self not through the business. I know it sounds harsh, but consumer laws can not also cover Businesses as each business has its own way of working. Can you give me some clarity on what counts as a ‘business’? We make lights and sell direct to consumers (B2C) but also to wholesalers/third party websites and to architects/designers/contractors ordering (and paying) on behalf of the end customers. I presume that wholesalers are businesses (ie our sales to them are B2B) but what about the designers/contractors? would they also count as B2B?